Today’s food holiday is going to bug you, and I mean that quite literally. October 14 is National Chocolate Covered Insect Day! No, they weren’t actually LIVE. Scared me for a sec, though. No, this is not an episode of Survivor or Fear Factor. It’s a real holiday, created by some demented nut job aspiring individual to honor edible insects. If you’re the squeamish type, relax; most insects are not only edible, but they are quite nutritious, and considered a delicacy in many parts of the world. They are cheap, plentiful, and chock full of protein; in places where pasta bolognese is hard to come by, insects are a coveted food source. Some of the more popular edible bugs include ants, spiders, termites, grubs, lice, mealworms, scorpions, crickets, grasshoppers, and beetles. The United Nations reports that more than 1,400 insect species are eaten by over 300 ethnic groups in 113 countries around the world, especially in less developed nations. In all, 80% of the world’s population regularly consumes insects. If it makes you feel any better, you’ve probably inadvertently eaten insects several times in your life! When we first began this food challenge, I knew the day would come where we’d have to eat bugs. There is no other food holiday on October 14*, so it’s not like we’ve got options. Tara knew this, too – and still agreed to the challenge. 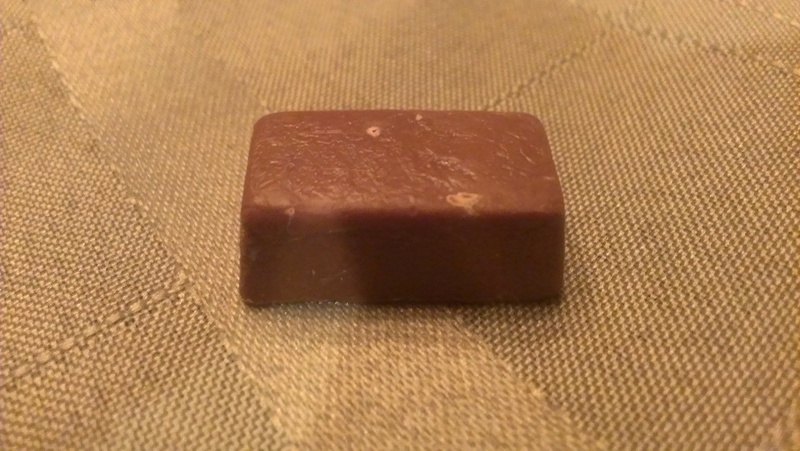 As the day drew closer, I became increasingly excited; of all the interesting foods we’ve consumed this year, none has been as unusual as chocolate covered insects! Since it’s rare to find them on grocery store shelves, some planning ahead was necessary. Fortunately, there are a number of places online that sell edible insects. We chose Fluker Farms, because they had reasonable prices and a good selection. I opted for a four-pack of chocolate covered crickets, and my parents insisted we include them in this challenge. Considering they cringe at the slightest sign of spiciness, I was quite surprised (and pleased) when they insisted we break bread…err, break crickets…together. There’s a cricket in there. *Actually, I recently discovered that some sites list today as National Dessert Day. No way are we taking the easy way out now, though! I’m ready for this. Besides, chocolate covered insects are dessert, right? I should also point out that today is our one-month wedding anniversary. 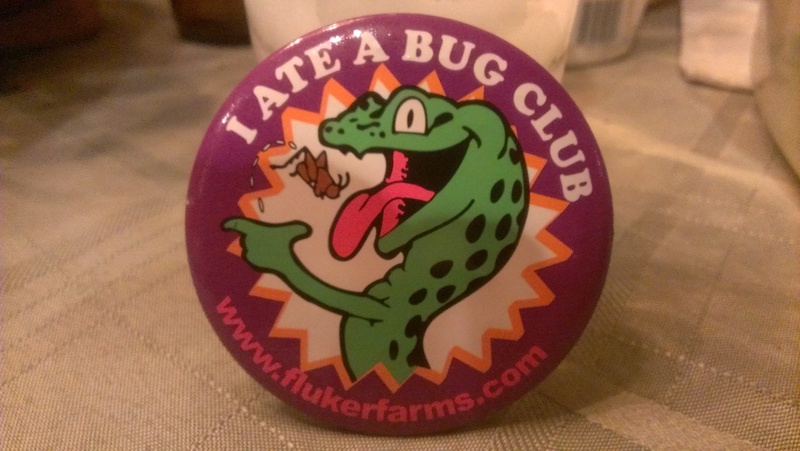 I can’t help but laugh over the fact that our celebration included eating bugs. Following our beef stroganoff, we unwrapped our chocolate covered crickets and eagerly bit into them. Honestly, we couldn’t even tell there were bugs in there. The consistency was similar to a Hershey’s crisp bar – no dangling legs or antennae hanging from our lips afterwards. Which is kind of a shame, really. 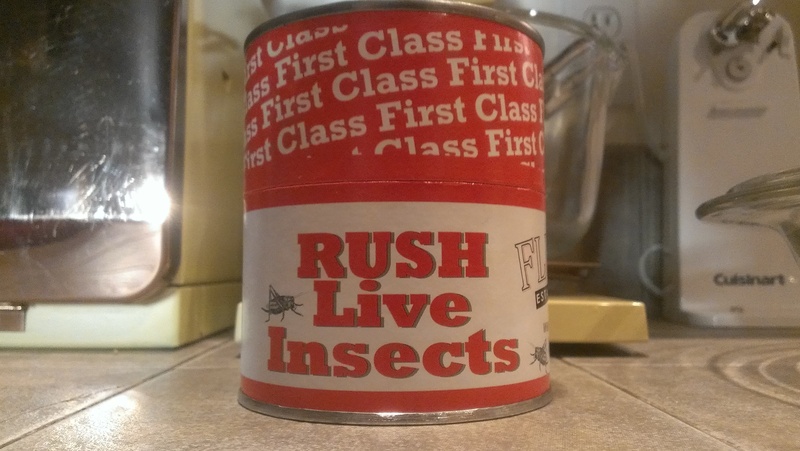 I say, if you’re going to eat a bug, EAT a bug! We were duly rewarded for our efforts. Kudos to you all for trying them. I’m sure if I didn’t know what they were, I wouldn’t have been able to tell. This does not, however, give you permission to slip me one over the course of the holidays. Just sayin’…. As a matter of fact, we DO have one left over. And didn’t Tara vow to get revenge for the whole “I like boy shorts and poop” Facebook comments? Hmm….